Leucoxene: Mineral information, data and localities. An alteration product and mixture of Fe-Ti oxides, including titanite, perovskite, titanian magnetite, but especially ilmenite. 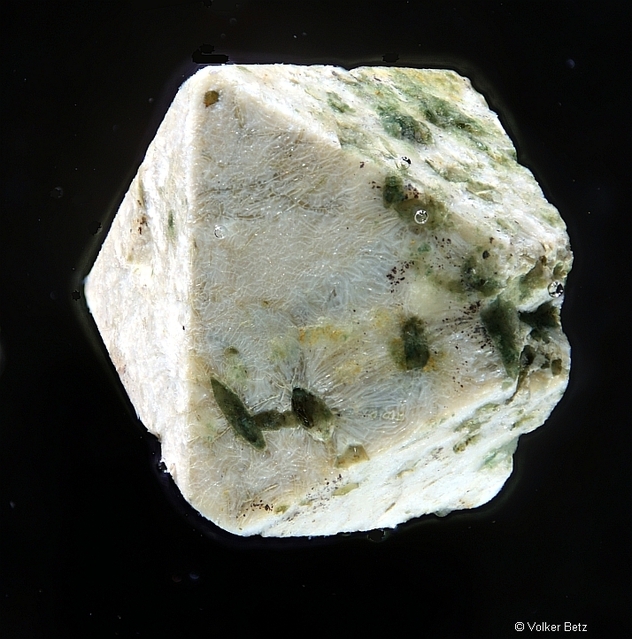 Most 'leucoxene' is anatase or rutile. Ilmenite 6 photos of Leucoxene associated with Ilmenite on mindat.org. Rutile 2 photos of Leucoxene associated with Rutile on mindat.org. Titanite 2 photos of Leucoxene associated with Titanite on mindat.org. Albite 2 photos of Leucoxene associated with Albite on mindat.org. Quartz 2 photos of Leucoxene associated with Quartz on mindat.org. Calcian Elpidite 2 photos of Leucoxene associated with Calcian Elpidite on mindat.org. Aegirine 2 photos of Leucoxene associated with Aegirine on mindat.org. Anatase 1 photo of Leucoxene associated with Anatase on mindat.org. Maghemite 1 photo of Leucoxene associated with Maghemite on mindat.org. Picroilmenite 1 photo of Leucoxene associated with Picroilmenite on mindat.org. Gümbel (1874) Die paläolith. Eruptivgest, Fichtelgebirg. : 22. Palache, C., Berman, H., and Frondel, C. (1944) The System of Mineralogy of James Dwight Dana and Edward Salisbury Dana Yale University 1837-1892, Volume I: Elements, Sulfides, Sulfosalts, Oxides. John Wiley and Sons, Inc., New York. 7th edition, revised and enlarged: 560. Jambor, J.L. and Roberts, A.C. (1995) New mineral names. American Mineralogist: 80: 1073-1077. Wyatt, J.D. (1972) Report on Diamond Drilling at the Giant Moon (M.L.429E) Tennant Creek - Northern Territory, for Veritas Mining Corporation Pty. Ltd, Geotechnics (Aust.) Pty. Ltd. Clerk, E. (2004) Public Environmental Report Abrasive Sands Quarrying Project Harts Range, Northern Territory. Prepared by Martinick Bosch Sell Pty Ltd for Olympia Resources Ltd.
Brauhart, C.W., Huston, D.L., and Andrew, A.S. (2000): Mineralium Deposita 35, 727-740. Yeats, C.J., Kohler, E.A., McNaughton, N.J., and Tkatchyk, L.J. 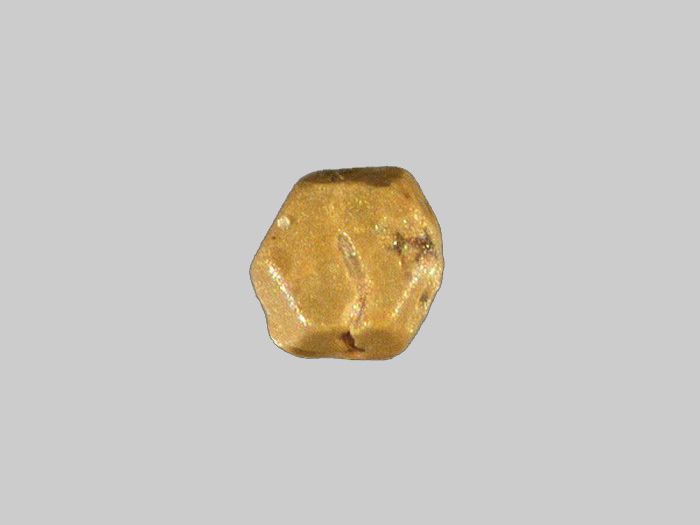 (2001): Mineralium Deposita 36, 125-136. Grguric, B.A., Seat, Z., Karpuzov, A.A., Simonov, O.N. (2013) The West Jordan deposit, a newly-discovered type 2 dunite-hosted nickel sulphide system in the northern Agnew-Wiluna belt, Western Australia, Ore Geology Reviews, 51, pp. 79-92. Feuerbach, M. & H. J. Unger (1969): Die Schwefelkieslagerstätte Bernstein (Burgenland, Österreich). Arch. f. Lagerst.forsch. Ostalpen, 9, 3-33. Vohryzka, K. (1968): Die Erzlagerstätten von Nordtirol und ihr Verhältnis zur alpinen Tektonik. Jb. Geol. B.-A., 111, 3-88. Kontak, D.J., Horne, R.J., Smith, P.K. (1996) Hydrothermal Characterization of the West Gore Sb-Au Deposit, Meguma Terrane, Nova Scotia, Canada. Economic Geology: 91: 1239-1262. Colvine, A. C. (1974). The petrology, geochemistry and genesis of sulphide-related alteration at the Temagami Mine, Ontario. PhD thesis University of Western Ontario Digitized Theses. Paper 788. Moorhouse W. W. (1942) The Northeastern Portion of The Timagami Lake Area, Fifty - First Annual Report Of The Ontario Department Of Mines, ARV 51, Pt. 6, Pg 8. Miller, Willet G. (1910): The Cobalt-Nickel Arsenides and Silver Deposits of Temiskaming (Cobalt and Adjacent Areas); Ontario Bureau of Mines, Vol. 19, pt.2, p. 55. Lauzière, K. (1989). Environnement géologique et minéralisation aurifère à la mine Bachelor, Desmaraisville, Québec. Chicoutimi: Université du Québec à Chicoutimi. Allard, G. O., Caty, J. L., Chown, E. H., & Cimon, J. Allard, GO, 1976, Dore Lake Complex and its importance to Chibougamau geology and metallogeny: Ministère des Richesses naturelles du Québec, DP-368, 446 p.
McDonald, B.W.D., 1990. Geology and Genesis of the Mount Skukum Epithermal Gold-Silver Deposits, Southwestern Yukon (NTS 105 D/3, 6). Indian and Northern Affairs Canada, Exploration and Geological Services, Bulletin 2, 65 p.
Peters, S.G., et al. (2002): USGS Open-File Report 02-131. Cromie, P.W., and Zaw, K. (2003): Geofluids 3(2), 133-143. Sekanina, J.: Mineralogické a petrografické poměry okolí Štramberka. Práce brněnské základny Československé akademie věd, 1961, roč. 33, spis 421, sešit 8, s. 337-412. Cailteux, J. L. H., Kampunzu, A. B., Lerouge, C., Kaputo, A. K., & Milesi, J. P. (2005). Genesis of sediment-hosted stratiform copper–cobalt deposits, central African Copperbelt. Journal of African Earth Sciences, 42(1), 134-158. Pierrot, R., Chauris, L. & Laforêt, C. (1975): Inventaire minéralogique de la France n°5- Côtes-du-Nord. BRGM Ed., 32-34. Pochon, A., Gloaguen, E., Branquet, Y., Poujol, M., Ruffet, G., Boiron, M. C., ... & Gapais, D. (2018). Variscan Sb-Au mineralization in Central Brittany (France): A new metallogenic model derived from the Le Semnon district. Ore Geology Reviews. heavy sands collected by Serge Nénert - Photo and collection François Périnet. Heavy sands collected by Christian Moreno - Collection François Périnet. D. Beaufort et al. , Bull. Minéral. , 1985, 108, pp. 801-812. Mineralien-Welt 18 (5) (2007) 20-26. Földessy, J., Hartai, É., & Kupi, L. (2008). NEW DATA ABOUT THE LAHÓCA HIGH SULFIDA-TION MINERALIZATION. Recsk and Lahóca, Geology of the Paleogene Ore Complex, Proceedings of the University of Miskolc, Series A, Mining, 73, 129-143. B.V. Govinda Rajulu and M.J. Chandrasekhara Gowda (1972) Journal of the Geological Society of India, 13, #3, 247-261. Duane, M. J. (1988). Genesis, mineralogy and geochemistry of uranium in the Gortdrum stratiform copper deposit, Ireland. Mineralium Deposita, 23(1), 50-57. Kato, T. (1922) Japanese Journal of Geology and Geography, 1, #3-4, 77-116. Bull. Minéral. , 1984, 107, pp. 285-305. Osborne Hutton, C. (1944) Some igneous rocks from the New Plymouth area, Transactions and proceedings of the Royal Society of New Zealand, 74:2, 125-153, 01 January 1944. Simpson, M.P., Mauk, J.L., Simmons, S.F. (2001) Hydrothermal Alteration and Hydrologic Evolution of the Golden Cross Epithermal Au-Ag Deposit, New Zealand. Economic Geology 96:4, 773-796. Collar, R.J., Browne, P.R.L. (1985) Hydrothermal eruptions at the Rotokawa Geothermal Field, Taupo Volcanic Zone, New Zealand. Proceedings of 7th NZ Geothermal Workshop. Chambefort, I., Lewis, B., Simpson, M.P., Bignall, G., Rae, A.J., Ganefanto, N. (2017) Ngatamariki Geothermal System: Magmatic to Epithermal Transition in the Taupo Volcanic Zone, New Zealand. Economic Geology, 112:2, 319-346. Bugge, C.(1951): Corundum at Farsjø, Nes, Romerike. Norsk Geologisk Tidskrift 29,77-83. Ikonnikova, T. A., Dubinina, E. O., Saroyan, M. R., & Chugaev, A. V. (2009). Oxygen isotopic composition of quartz veins and host rocks at the Sukhoi Log Deposit, Russia. Geology of Ore Deposits, 51(6), 505-512. Korostelev, P. G., Gonevchuk, V. G., Gorelikova, N. V., Ekimova, N. I., Kononov, V. V., Krylova, T. L., ... & Suchkov, V. I. (2016). Tin–rare-earth element greisens of the Solnechnoe cassiterite–silicate deposit, Russian Far East. Russian Journal of Pacific Geology, 10(1), 63-77. Mordberg, L.E. (2004): Mineralogical Magazine 68(3), 489-497. Gorbachev, B.F., Sharapov, A.F., Lyadskii, P.V., and Shmel'kov, N.T. (2004): The South Ushkoty Eluvial Kaolin Deposit in the Southeastern Orenburg Region. Lithology and Mineral Resources 39(5), 412-424. Boiko, N.I. (2004): Lithology and Mineral Resources 39(6), 523-529. Cherkasova, T., Kucherenko, I., & Abramova, R. (2015). Rear polymineral zone of near-veined metasomatic aureole in mesothermal Zun-Holba gold deposit (Eastern Sayan). In IOP Conference Series: Earth and Environmental Science (Vol. 27, No. 1, p. 012003). IOP Publishing. De Jager, E. J. (2015). The analysis of the mine call factor in gold mining, with specific reference to Western Holding Mine (Doctoral dissertation). Jeffery, D. G. (2015). Structural discontinuties in the Witwatersrand group on the ERPM mine their geology, geochemistry and rock mechanics behaviour (Doctoral dissertation). J.Langhof: REE-mineralogy in Mo-granite pegmatites in Vetlanda-area, Småland,Sweden. 1991; Langhof, J. (1991): REE-mineralogi i Mo-förande granitpegmatiter i Vetlandatrakten, Småland. Examensarbete 20 p i mineralogi-petrologi, Institutionen för geologi och geokemi, Stockholms Universitet, Stockholm SI: 1-37. Sangsiri, P., & Pisutha-Arnond, V. (2008). Host rock alteration at the A prospect of the Chatree gold deposits, Phichit province, central Thailand: A preliminary re-evaluation. In Proceedings of the International Symposia on Geoscience Resources and Environments of Asian Terranes (GREAT 2008), 4th IGCP526 and 5th APSEG, Bangkok, Thailand (pp. 258-261). Oyman, T., Minareci, F., and Pişkin, Ö. (2003): Ore Geology Reviews 23, 35-53. Anthony, J.W., et al (1995), Mineralogy of Arizona, 3rd.ed. : 400; Young, R.G. (1964), Distribution of uranium deposits in the White Canyon-Monument Valley District, UT-AZ, Econ.Geol. : 59: 850-973. Anthony, J.W., et al (1995), Mineralogy of Arizona, 3rd.ed. : 257; Schwartz, G.M. (1947), Hydrothermal alteration in the 'porphyry copper' deposits, Econ.Geol. : 42: 319-352; Schwartz, G.M. (1958), Alteration of biotite under mesothermal conditions, Econ.Geol. : 53: 164-177. Anthony, J.W., et al (1995), Mineralogy of Arizona, 3rd.ed. : 104; Williams, S.A. (1982), Luddenite, a new copper-lead silicate mineral from AZ, Mineralogical Magazine: 46:363-364. Anthony, J.W., et al (1995), Mineralogy of Arizona, 3rd.ed. : 116; Young, R.G. (1964), Distribution of uranium deposits in the White Canyon-Monument Valley district, UT-AZ, Econ.Geol. : 59: 850-973. Byron F. King (1932) American Mineralogist, 17, #10, 485-490. Dale, T.N. (1908) The Chief Commercial Granites of Massachusetts, New Hampshire and Rhode Island. United States Geological Survey, Bulletin 354, 228 pages. GROSS,S.O., 1968, TITANIFEROUS ORES OF THE SANFORD LAKE DISTRICT, NEW YORK, IN ORE DEPOSITS OF THE UNITED STATES, 1933-1967 (GRATON-SALES VOLUME), VOL.1: NEW YORK, A.I.M.E.,INC. P.140-153. George, Gilbert (1972). Latest Finds at Rhode Island Road Cuts(Micromounters of New England no. 17, Feb. 1972). Morrill & Chaffee, 1960. Vt Mines & Mineral Localities, Part II. Halladay, C.R. (1978), Rare-earth and thorium mineralization in southeastern Rappahannock County, Virginia, in Contributions to Virginia geology-III: Virginia Division of Mineral Resources Publication 7, p.87-89. Kolb, J., Kisters, A.F.M., Hoernes, S., and Meyer, F.M. 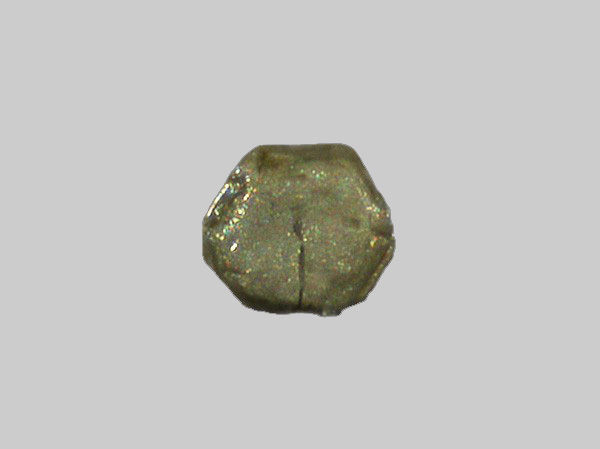 (2000): Mineralium Deposita 35, 109-125. Buchholz, P., Herzig, P., Friedrich, G., and Frei, R. (1998): Mineralium Deposita 33, 437-460.